This is made of goughened glass and ABS plastics. The size is 11"x11". High precision strain gauge sensors system. Overload and low battery indication. Switch on and off are all automatically. Customized print and logo are welcomed. Small L-square for contruction industry and architects. 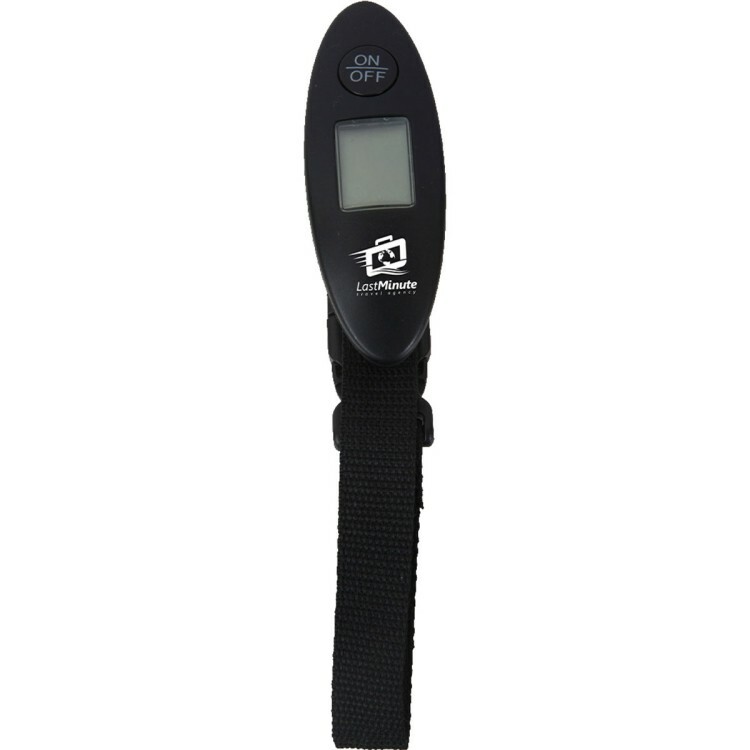 110lb/50kg capacity with 5g or 10g accuracy; LCD screen displays weight in g/kg/lb/oz. 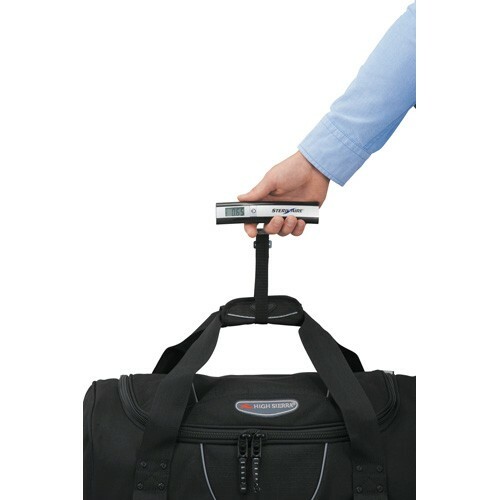 Ultra-compact design & light weight, and easy to carry. Main body use ABS engineering plastic as main material. Automatically lock the reading when data is stable. 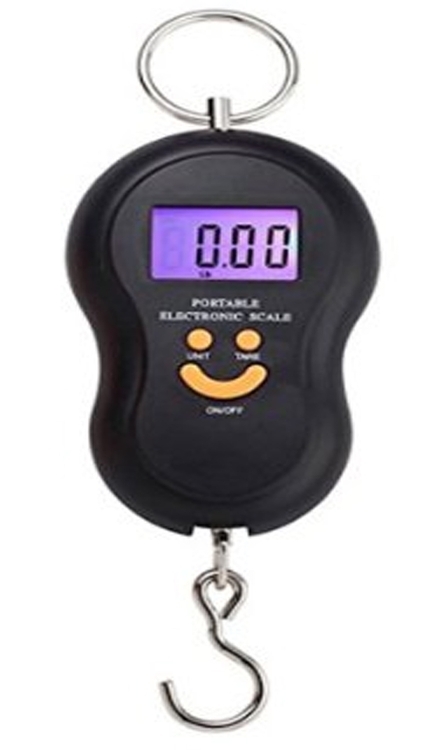 Low power consumption, powered by two AAA batteries (not included) Convenient weighing unit switch, data lock and auto off function Tare function. Great for traveling, shopping and outdoor activities. Aluminum 6" color coded engineer solid triangular scale is made from high quality extruded aluminum with ultra smooth edges. A different color coded groove on each side that easily identifies your calibration. 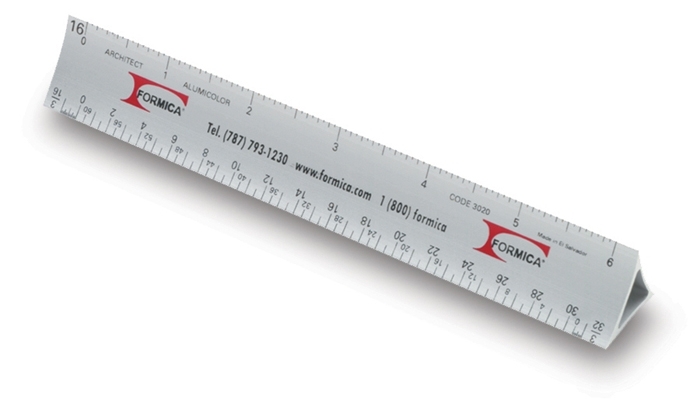 Calibrations are 10, 20, 30, 40, 50 and 60 parts per inch. 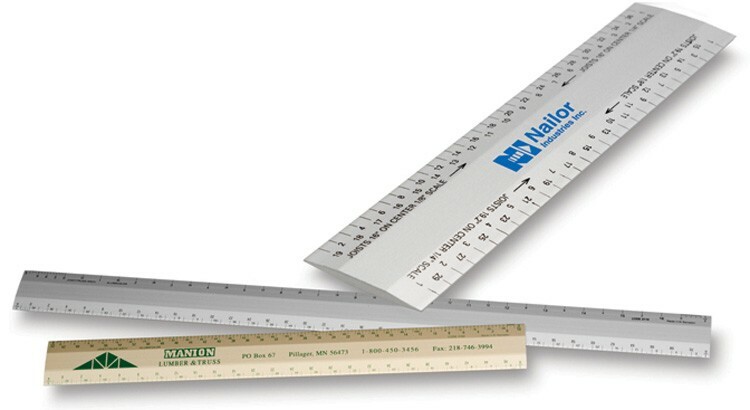 Aluminum joist/truss architect scale is made from high quality extruded aluminum with ultra smooth edges. Calibrations are (3/32, 3/16) and (1/8, 1/4). 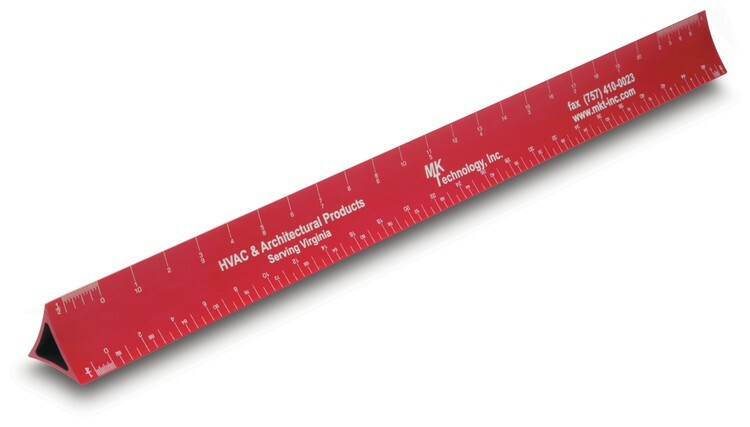 Will be a big hit with architects, builders, roofers, framers and lumber yards. Use the (3/16", 3/32") scales are used more frequently for measuring reduced plans and (1/4", 1/8") scales for regular use. L2R is a left-to-right reading scale. 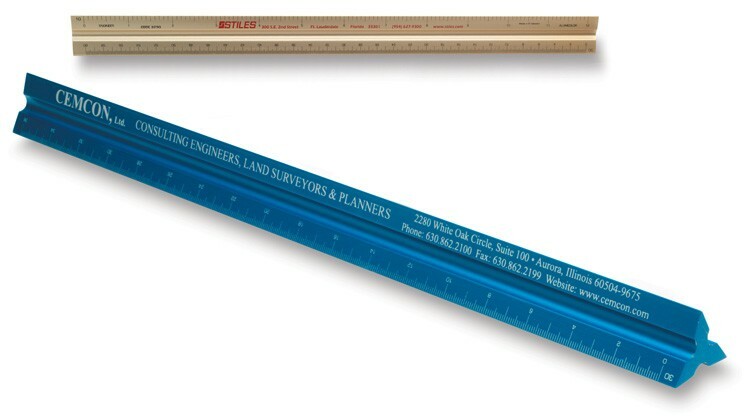 Aluminum 12"architect hollow drafting scale is made from high quality extruded aluminum with ultra smooth edges and photo anodized calibrations making them a permanent part of the aluminum that will never wear or rub off. Calibrations are 1/32, 1/16, 1/8, 1/4, 1/2, 16. 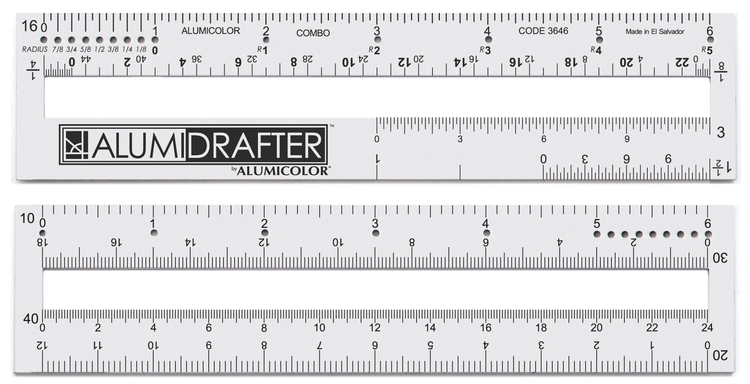 The AlumiDrafter™ is the newest addition to Alumicolor®’s long line of innovative drafting products. 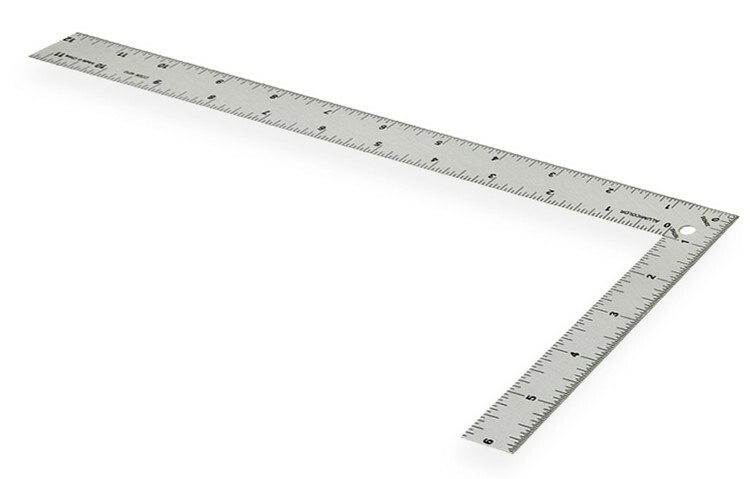 Invented by a practicing architect, this multi-use tool gives the user all the advantages of a traditional triangular scale in addition to many other features, while solving the portability issues of its bulkier counterpart. See below for all the features of this unique new tool for the architect and engineer industry. 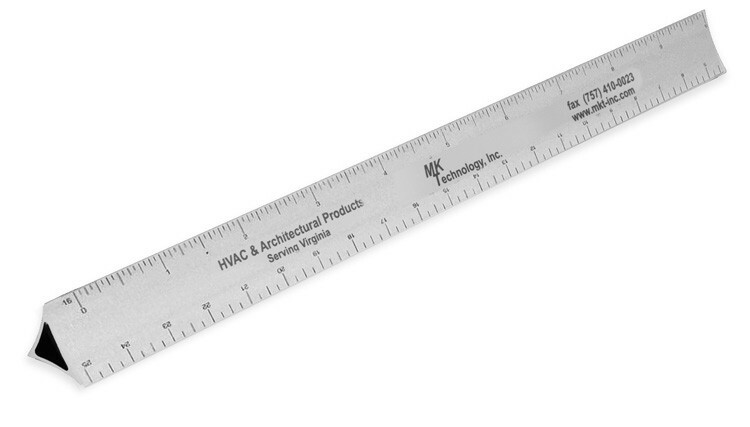 Now this innovative tool is available in a smaller, even more portable 6” version. It features many of the same features as the 12” version, minus the guides for drawing angles and triangles. The user can still read multiple scale drawings, draw circles and arcs, and use it as a cutting/drawing edge, while having the added benefits of its small size and ease of use. 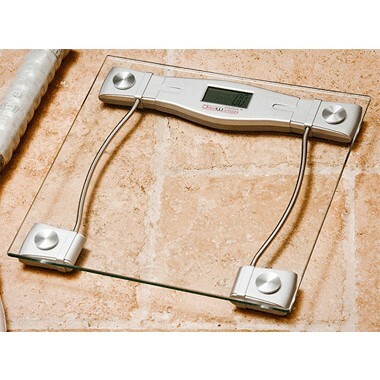 Tempered Glass Digital Scale. 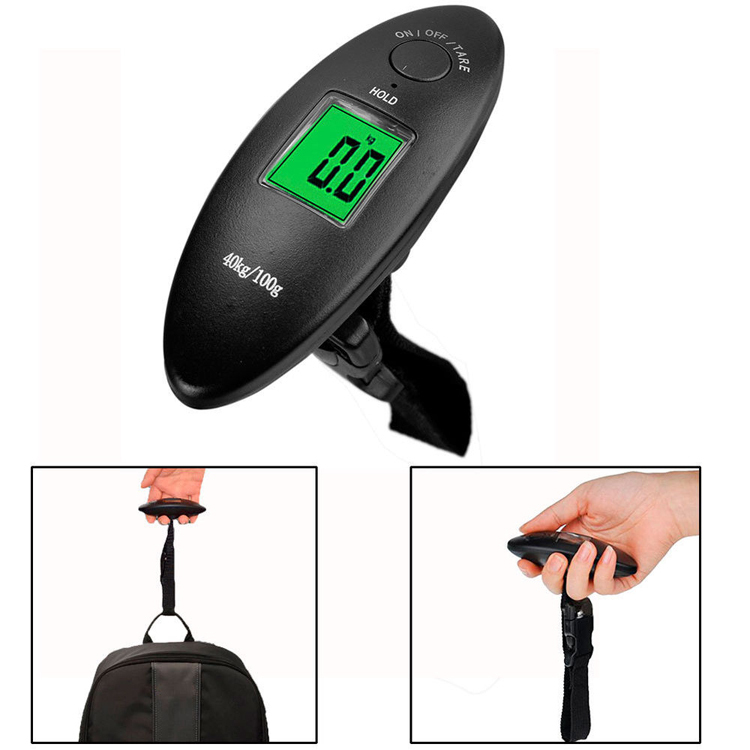 Basic digital body scale with the technology for accurate weights of up to 330 lbs, and the functionality of more expensive units. 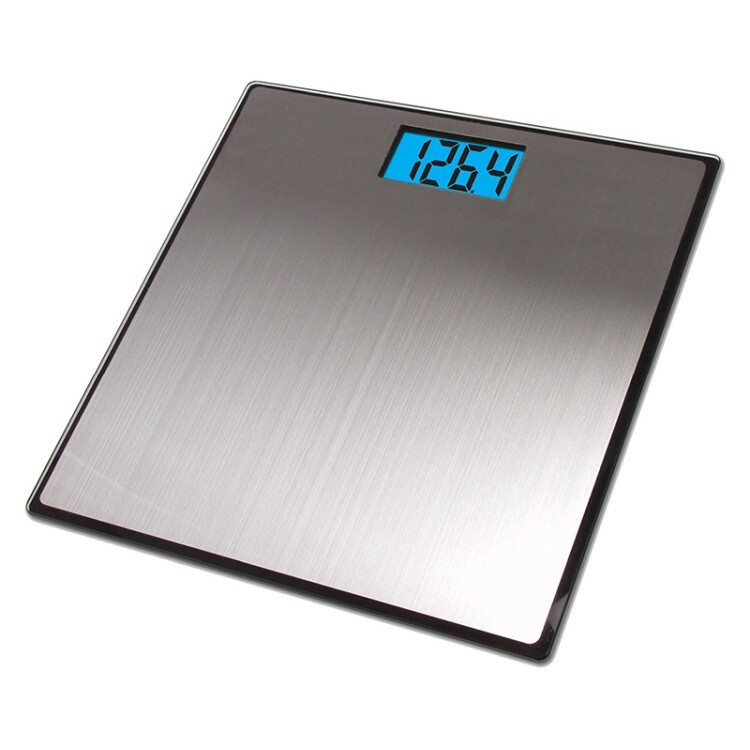 This digital scale features instant on from sleep mode with just a step on the tempered glass platform, and accuracy is within 0.2 lbs or 0.1 kg. 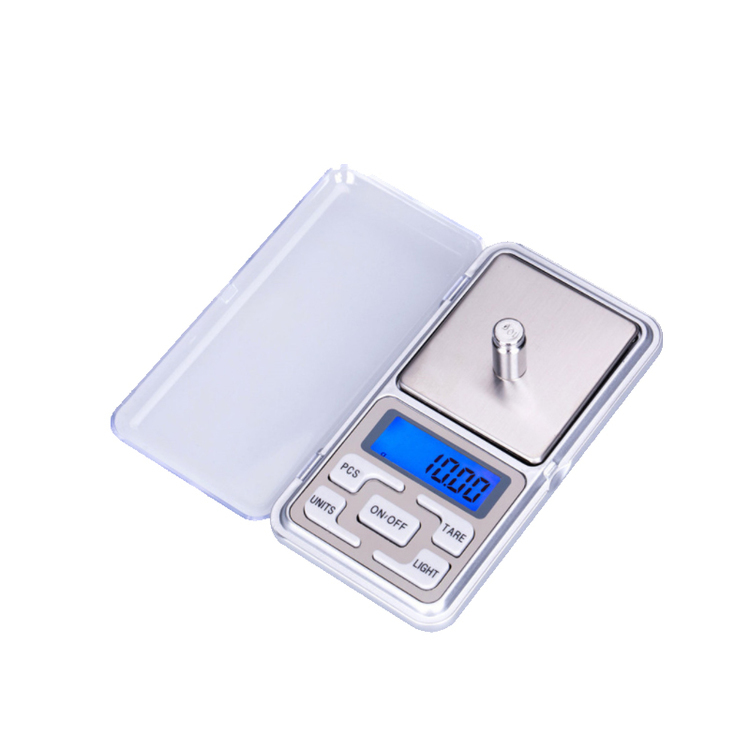 An easy to view 3 X 1.5 inches LCD, resistance to humidity, great performance, and solid value makes this weight scale perfect for any bathroom. No longer do you have to hide your bath scales away. 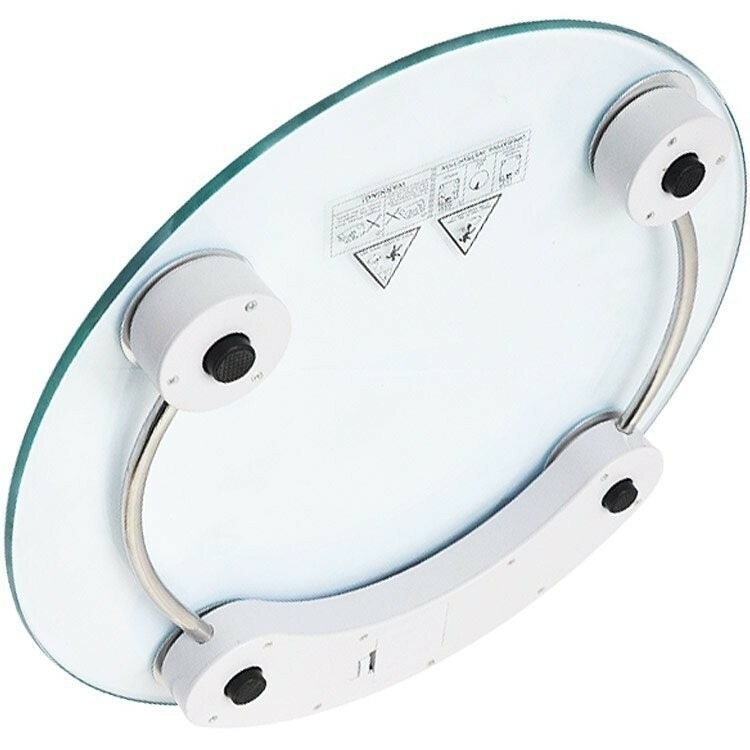 This clear glass scale keeps your bathroom looking uncluttered and upscale with its sleek design. This is made of toughened glass and ABS plastic material.The size is 10"x10".It has an automatic on/off and data lock functions.Low battery and overload indication.High precision strain gauge sensors system.Custimized size,shape and logo are available. 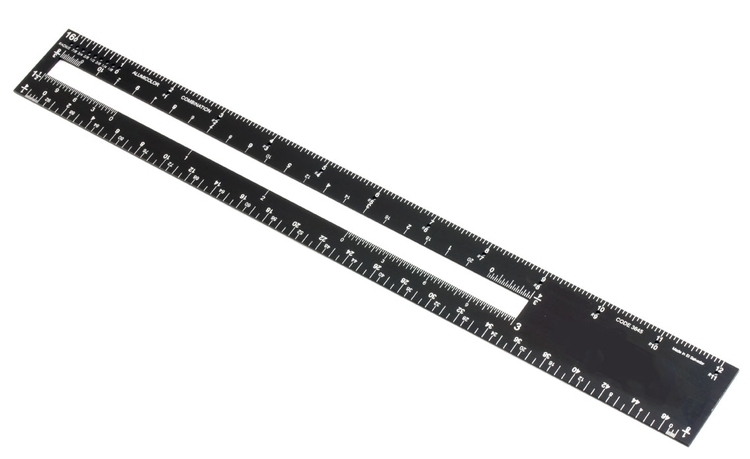 Aluminum 12" engineer standard solid triangular scale is made from high quality extruded aluminum with ultra smooth edges and photo anodized calibrations making them a permanent part of the aluminum that will never wear or rub off. 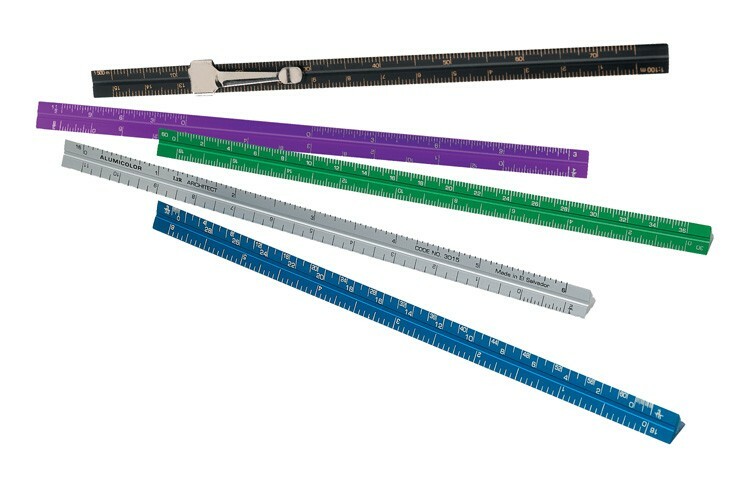 Calibrations are 10, 20, 30, 40, 50 and 60 parts per inch. Combination architect / engineer scale. 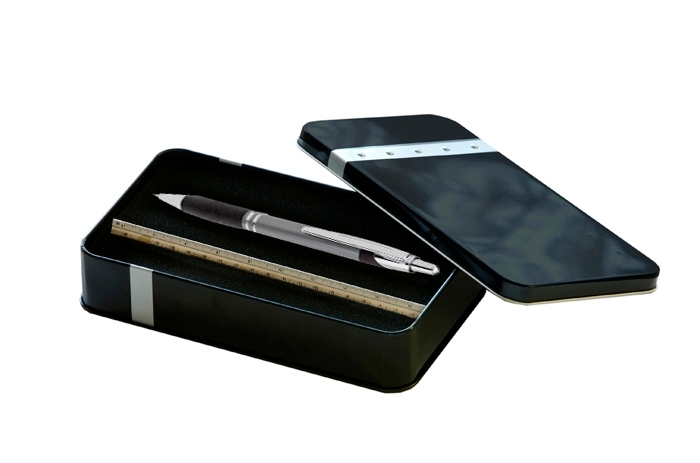 Aluminum 6" combination traditional triangular pocket scale with clip is made from high quality extruded aluminum with ultra smooth edges and is about the size of a ball point pen. Calibrations: A - 16 & (1/8, 1/4), E - 10 & 50, M - 1:100. This handy scale is an accurate and functional tool that will be treasured and used for many years. 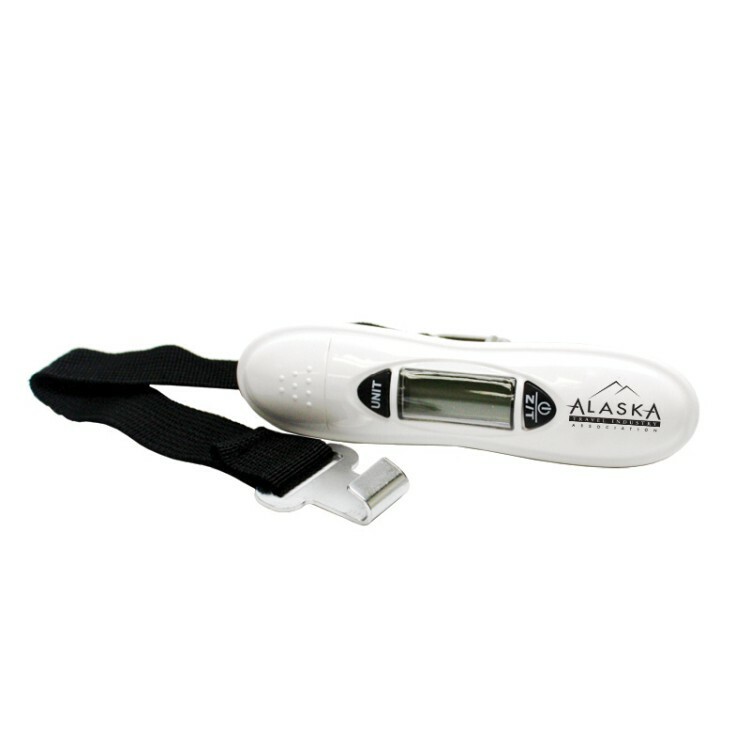 Features strengthened ABS plastic case, automatic zero and shut off feature, multiple weight measurement options. 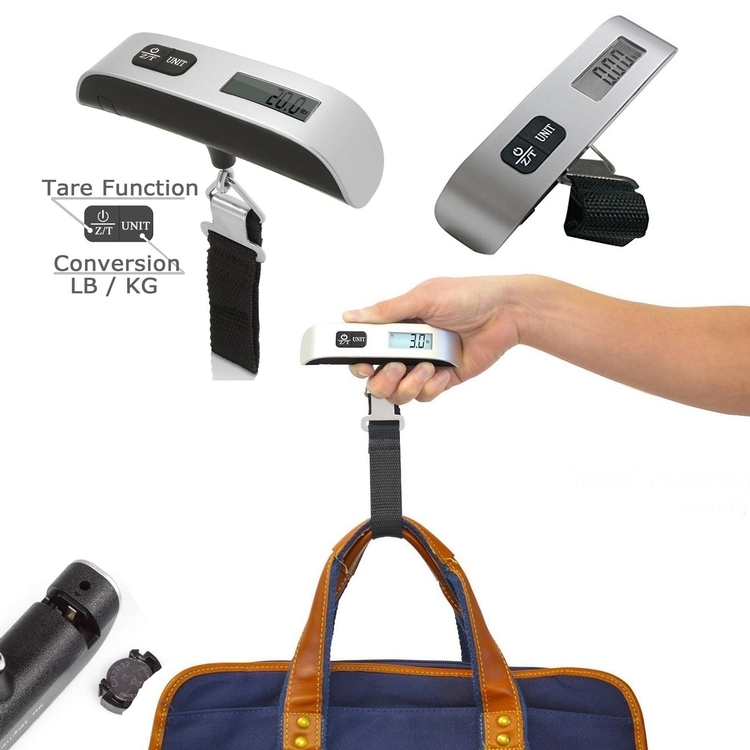 Great to avoid over weight luggage fees. 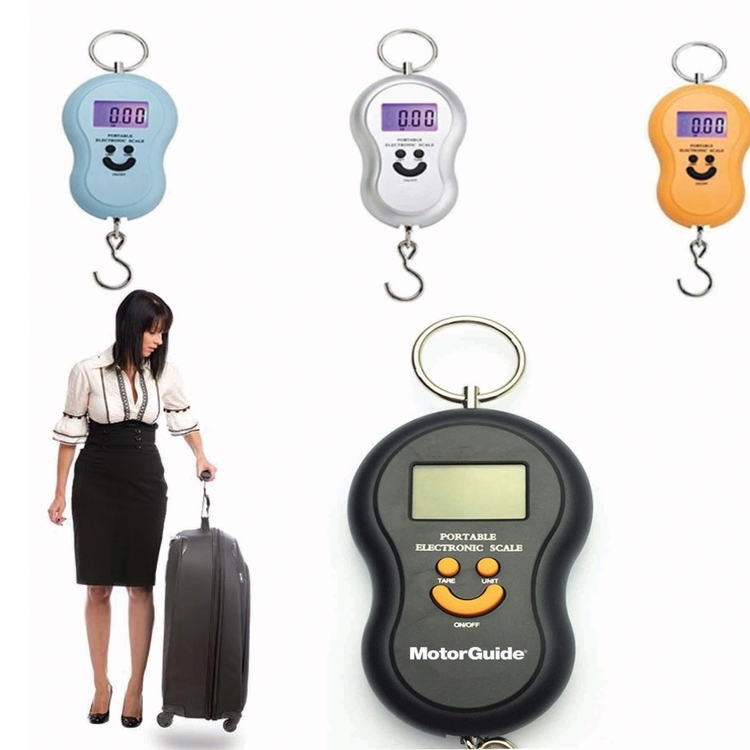 Decoration: W 1/2" x H 1"
Spruce up your marketing plan with this new Luggage Scale! 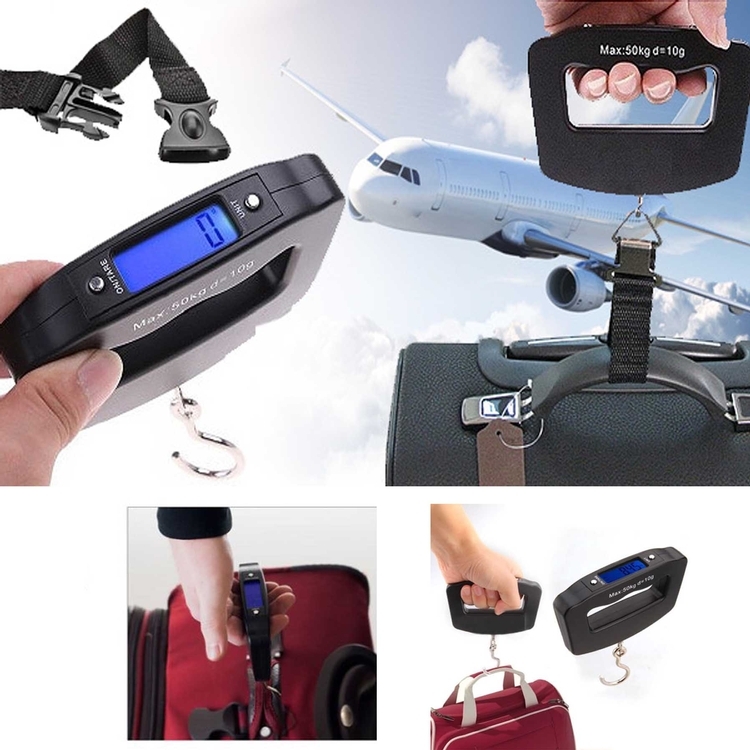 Watch how far your advertising efforts can take your brand when you pad print your company logo and information on this black luggage scale. 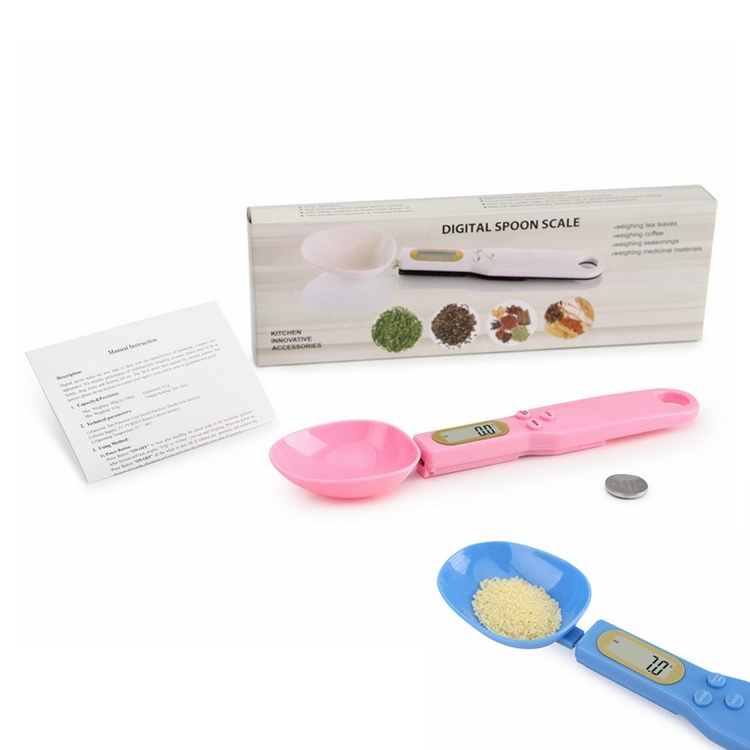 The Measuring Spoon Electronic Scale is made of ABS and Stainless Steel. The range of single scale could be adjusted in 0.1-300 grams. Removable Spoon. 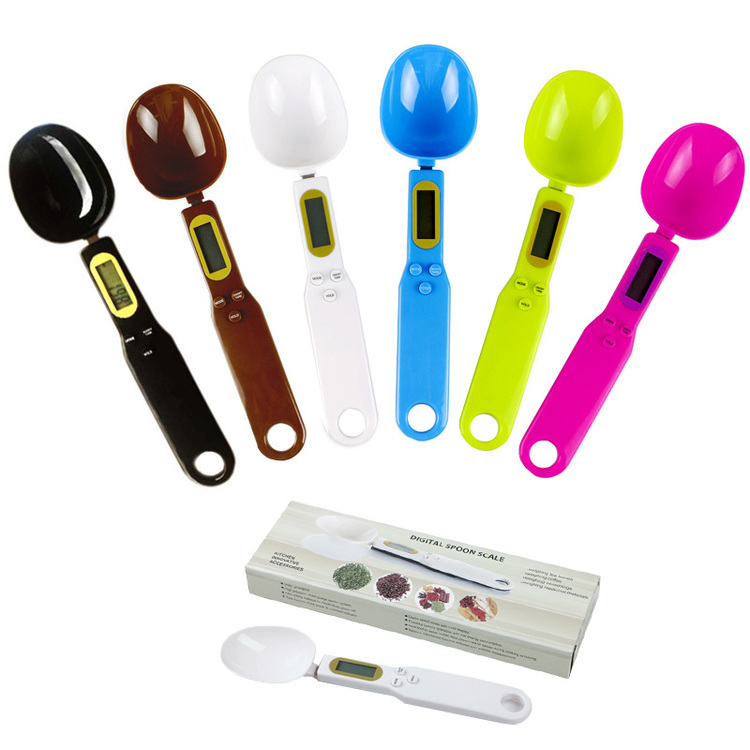 The operation of the 3V, one spoon with one CR2032 button battery(include). 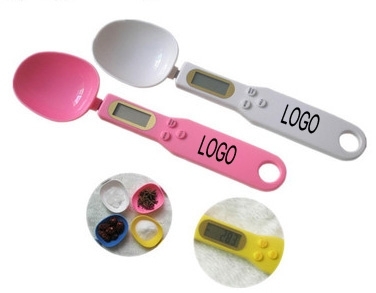 9" X 2 1/4" X 3/4"
This Kitchen electronic weighing spoon made of ABS safety material for food. Capacity: 500g/0.1. Unit: g/oz/gn/ct.